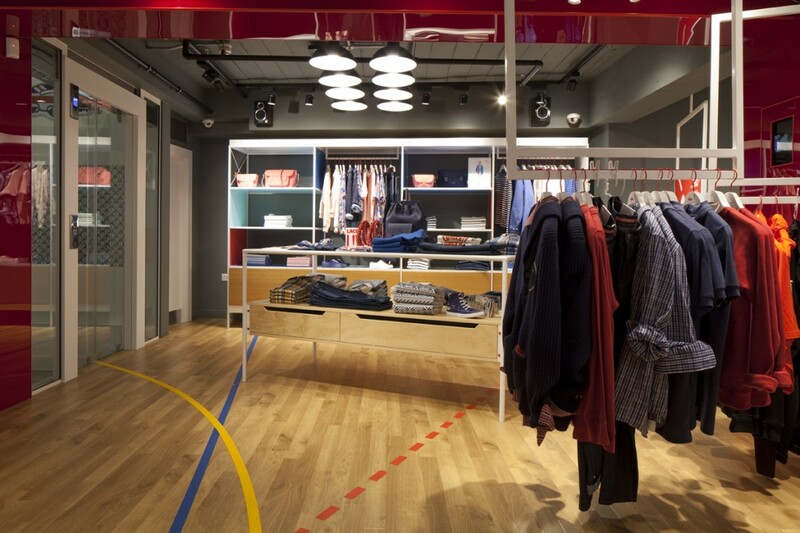 A bright, warm and inviting lighting scheme was required for the London flagship store. 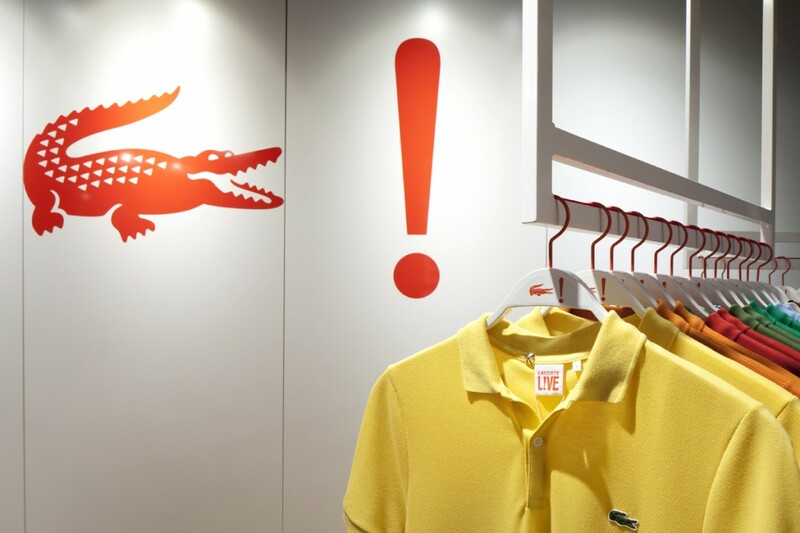 It was important to Lacoste that the wide range of colours were displayed in the best light possible, for this reason careful choices were made in lighting specification. 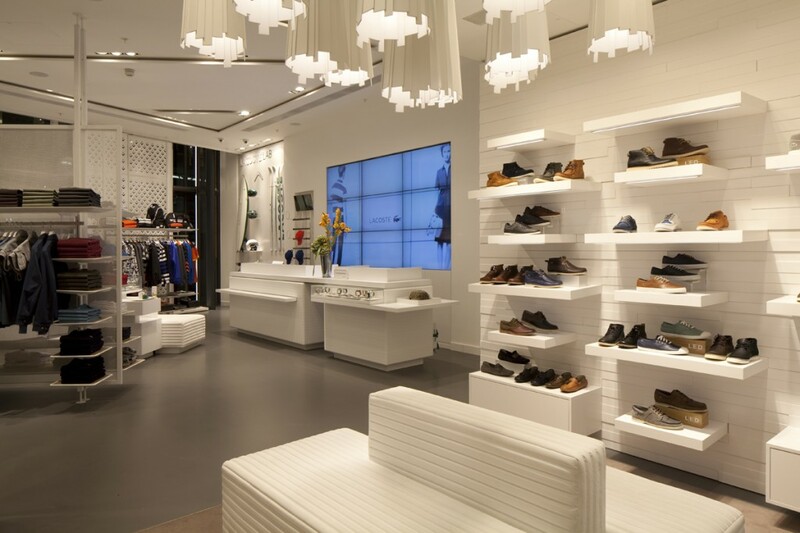 The main retail lighting layout to the ground and first floors was designed around a number of ceiling coffers which mirror the shape of the store – an original concept by into. The building is an unusual shape so a standard grid of fittings was not possible. 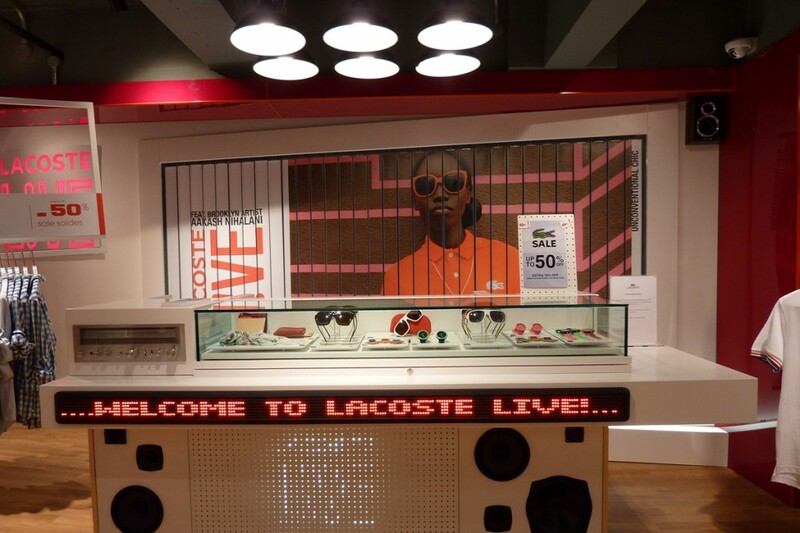 The basement required a different atmosphere so suspended black track and spots were used to create a moodier feel. 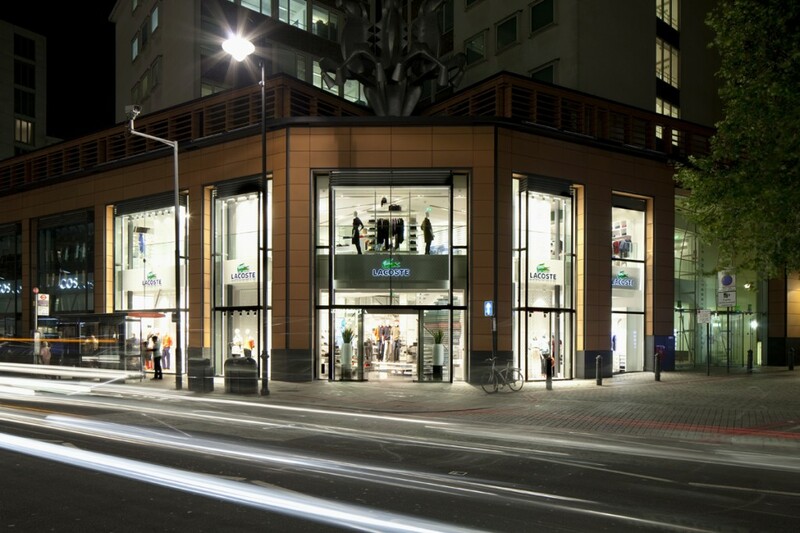 Integral LED has been used throughout, in shelving details, stair nosing details, lift shaft illumination and around windows. 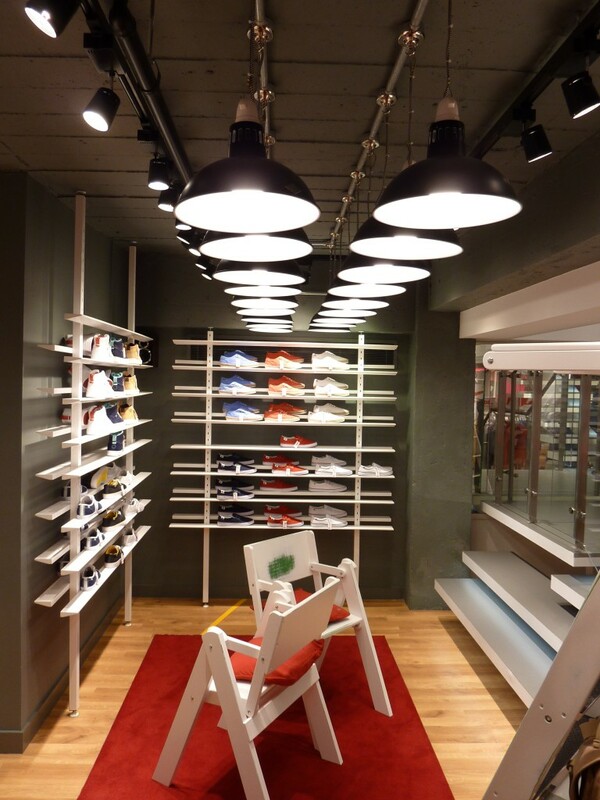 The store feels light and clean, and metal-halide lamps with high colour rendering properties make the wide range of colours stand out. 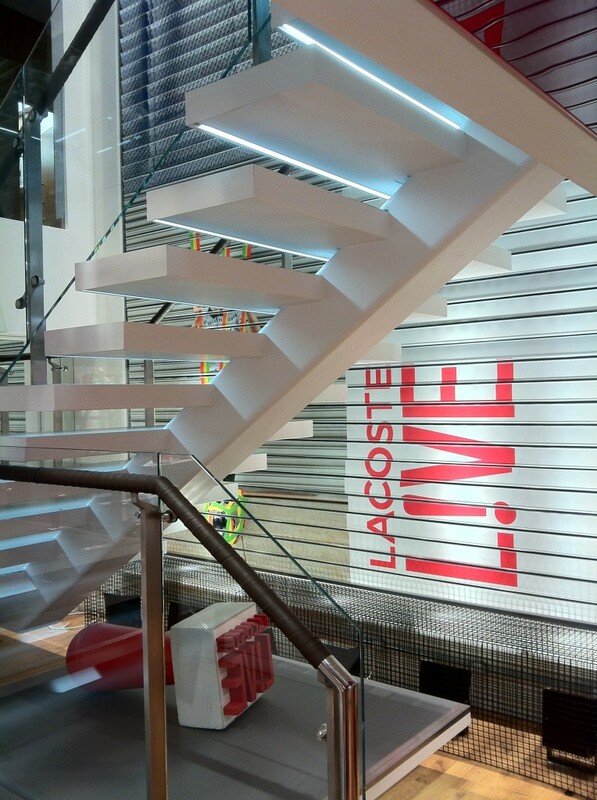 There is a good contrast between the ground floor and the ‘Lacoste Live!’ area in the basement due to differing lighting treatment. 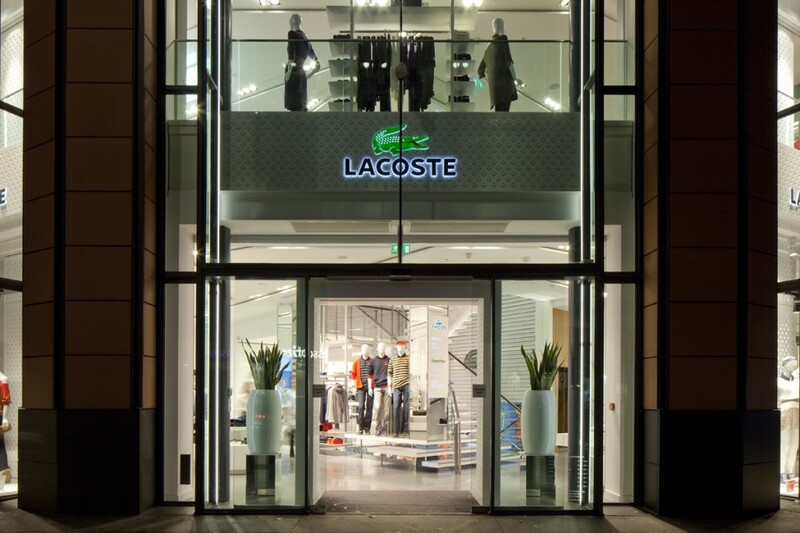 Externally, the LED detail to the double height windows creates a striking façade to the store.